Alex Merced for Vice Chair! Today, while sitting at the second annual Greene County Convention for my local Libertarian chapter. I have decided to weigh in on the Vice Chair race that is taking place within our National Party. I would like to formally endorse Alex Merced as our new Vice Chair. My reasoning behind this endorsement has come from observing Alex from afar for several years now. He comes from a great group of Libertarians in New York who will help steer our National Committee to success. My first memory of meeting Alex was at the 2016 Libertarian National Convention in Orlando Florida, and he was immediately enthusiastic about helping me achieve success. He showed me two apps that would help me create videos, and graphics for my campaign. Not only does he have the energy that we need in the Vice Chair position, but he comes from a group of no nonsense Libertarians. He gets to work around the great Larry Sharpe, and we need more of Larry’s students to help grow our Party. He is not afraid of a camera, a true Libertarian indeed, and does great with the media. 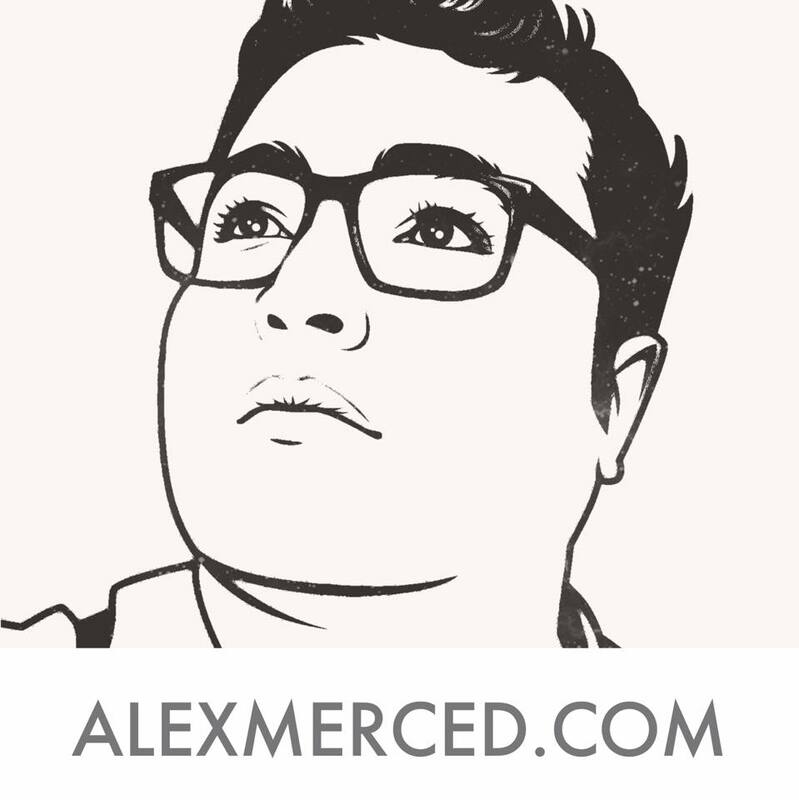 Please consider Alex Merced to be our future Vice Chair for the National Committee. Watch the Replay of the 7th District Debate between Gen and Ben. If you happened to be working, or busy during the previous debate. You can watch the replay through this link. It was a fantastic experience. Click the Link Below to and Click Watch Replay:all video credit goes to Missouri State University. #WhereisBilly? Oct 1st local party review, and will Billy Long show up for his debate, Oct 26th. Challenging Billy Long to an Oxford Style Debate! At this months Libertarian meeting we reviewed some of our goals in the future. I also invited our opposition, Billy Long, to a debate. Not too shabby for writing it a few hours prior, and having to deal with my car sliding off the road. 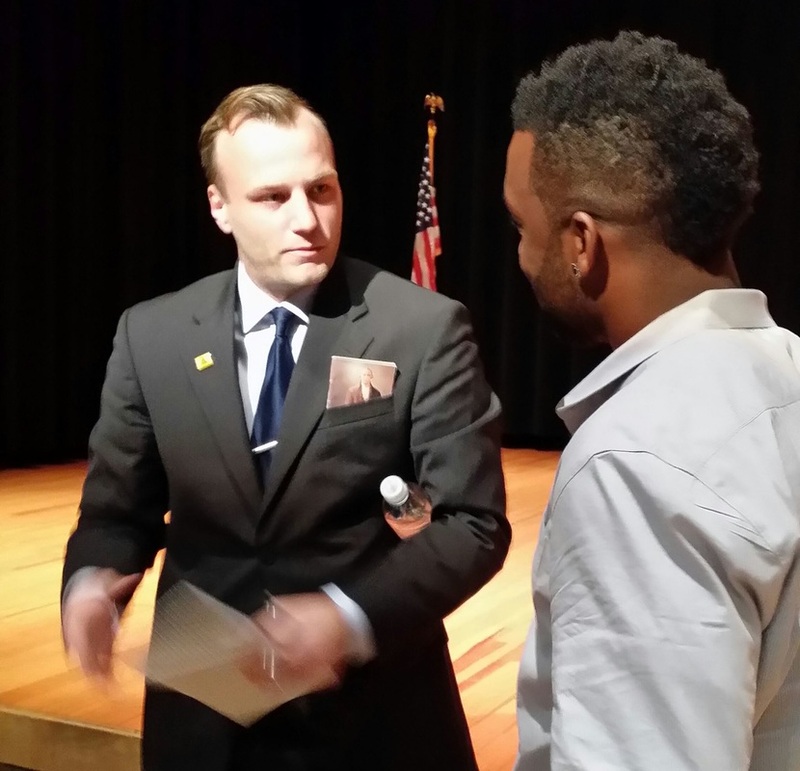 The National Libertarian Convention Through the Eyes of a Missouri Delegate. The most ambitious time in history to be a Libertarian is now, right now! 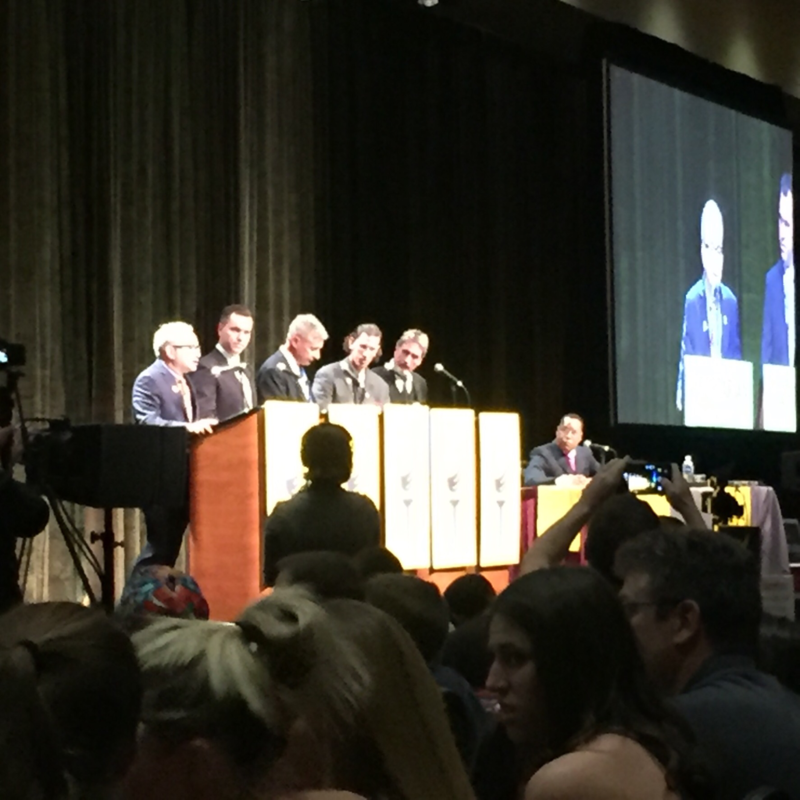 The most factional, dramatic and energized National Libertarian Convention in history is over. This beautiful weekend brought together a record number of libertarians and approximately one thousand delegates were on the floor. In fact, I am extremely proud to say that I was also on the convention floor making history; all at the meager age of 25. After such a life changing experience I have been moved to write a quick review for the Libertarians who could not attend. First, let me introduce myself to the reader. Then let me summarize my personal experience and attempt to convince you of the fantastic future our party is moving towards; by waving the flag of enthusiasm before the readers eyes. My name is Ben Brixey. I have been a Libertarian for five years and I am currently the Secretary of my local chapter, the Greene County party, located in Southwest Missouri. I ran for Greene County Presiding Commissioner at 23 years old, in 2014, taking on a college professor overjoyed with the police state. I am currently carrying the flag for United States House of Representatives in the 7th District and without a doubt our party is not going back into the undeserved hiding place. Occupying the dark corner of the media black out precisely due to the fact the millennial generation won't allow it. A generation demanding results, principles, honesty, revelation, impossible effort and wild fire pride! My generation won't allow their voices to be silenced any longer and this convention was filled with new blood; all boiling for their respective candidates! Fortunately, for all these energized delegates the media was there to catch ever bit of the action. CNN, FOX, MSNBC, CBS, CSPAN, POLITICO, Reason and many other outlets were flying around the giant Orlando convention center. Their job entailed pulling candidates from the endless attention and controversy pouring from Libertarians. The lines for the major candidates were in queue at all times with supporters just waiting to take their selfie picture. This experience was also backed empirically when the chair of the Convention praised the increase from 20 media requests, at the previous convention, to over 225 media requests at this convention. Austin Petersen had quite a loud minority not willing to bend their principles pertaining to abortion and anti-discrimination law. The all or nothing energy reminded me of my days in the Ron Paul 2012 campaign. Where not a single word of criticism would be tolerated and every positive quality was magnified by the bright stars in their eyes. The Pro-life Caucus is growing in strength and Austin Petersen, including his supporters, will not bend on this important issue. Austin carried several states including his home state of Missouri. Another candidate named Darryl Perry was the voice of the Radical Caucus who believed that every function the government is doing could be better completed by voluntary cooperation through business or charity. The Radical Caucus believes taking the Non-Aggression Principle to its maximum conclusion, which would eliminate the government in its entirety. This faction was also loud and their call for purity had influence. However, the Radicals did not have quite enough influence to win crucial positions even with carrying his home state of New Hampshire. Gary Johnson representing the Pro-Choice Caucus eventually won the nomination for president; however, it was not an easy feat. His late pick for vice-president, Bill Weld, caused a massive split among the delegates. Uniting Austin Petersen, Darryl Perry, Marc Feldman, and John McAfee forces. Pushing the presidential and vice presidential vote to a second ballot. Gary's eventual win was spurred on by his credibility, professionalism and honesty; which, touched the delegates who voted for him. Gary's ability to admit his imperfection and his willingness to listen to deeper libertarian values won enough pure Libertarian hearts. To be honest, the previous paragraph just can not illustrate the intensity of the factions. Therefore, let me try to color in the details of the caucus for the reader: I was sitting in the third row with my other Missouri delegates and my support was always going to Gary Johnson. However, when you sit on the floor ready to turn your ballot in the strategy you walked in with becomes irrelevant. I was excited to see how many enthusiastic Austin Petersen supporters were sitting in every state, specifically my state. This man deserved to get to the second round; thus, I voted for Austin in the first round knowing it would give him a chance for a coalition in the second. I was preparing for a battle and when the results of the first round were put up on the screen the battle had begun. Gary fell short by a small margin and a coalition of the other factions could have pushed the voting into further rounds. This was the Petersen plan and his delegates rose to their feet to caucus. They grabbed their signs and started chanting, "Austin, McAfee, Perry, anybody but Gary." The Chair had to ask them to leave the floor and move their cause to the hallway. Ironically, the hallway happened to be where Gary Johnson was trying to conduct an interview. 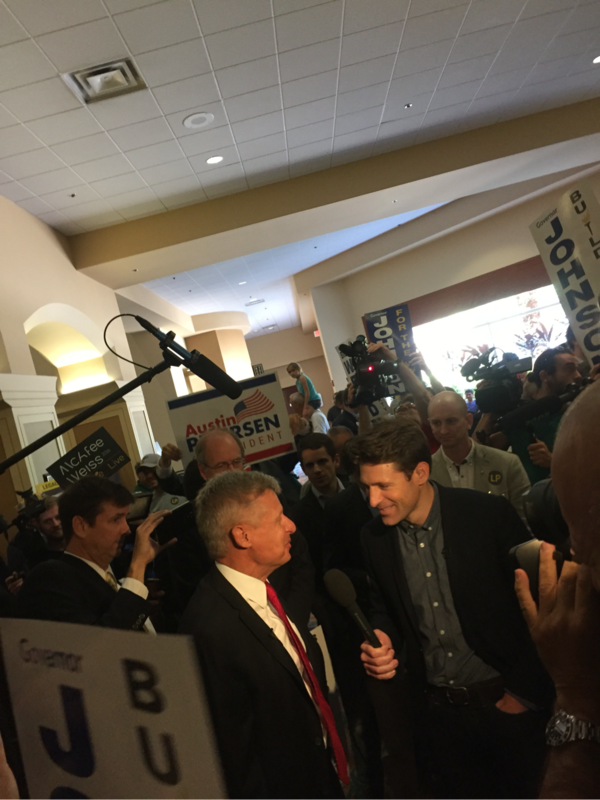 The Petersen supporters were loud enough, and numerous enough with their chants to shut the interview down for a short time. They circled Gary and this frustrating act made Gary supporters start chanting back, "Gary Johnson, Gary Johnson." Eventually, the crowd calmed down allowing Gary to conduct his interview right in the middle of a rebellious Pro-Life Caucus. As soon as the passion seemed to wane, Austin Petersen stepped into the hall. The Pro-life Caucus rose again, but this time Gary supporters were circling Austin, calling him out for his views. Austin was standing in the middle of a circle, answering questions and responding to attacks. His voice rising with every question and the passion from every faction could be felt. I took my Austin Petersen button off, as I was wearing both main candidates, and muttered to the person next to me, "it's time to caucus!" When the caucus came back to order, my vote for Gary was submitted and the results for the second ballot were posted. Around fifty votes from Darryl Perry had most likely moved to Austin. However, around twenty votes had flipped to Gary, giving him the nomination. In conclusion, the energy and passion Libertarians carried around in their quiver this convention can not disappear. We are the rising stars of the political arena and the world is watching. I felt immense agony when I was a delegate for Ron Paul and lost at the Missouri Republican State Convention in 2012. It was an eye-opening experience back then and this convention has opened ever more avenues for success. We need everyone to come together and be Libertarian in 2016. John McAfee has the correct strategy when he speaks about helping local candidates running for office and we need to harness his ideas. He has even backed this rhetoric with a new organization called "Vote Different." This organization along with many others will help build up the base of the Libertarian Party for the future –– a proud Libertarian future. A Little History All Americans Should Know! In order to better understand the Middle East we need to better understand our own history. History has been one of my passions, and it is where I am most educated. I have spent a great deal of my life using it to understand the problems we face in the Middle East. It would be too exhausting to learn about the centuries of religious history. Instead, we need to understand the more recent, and very specific historical events that have formed the contemporary Middle East. Our adventure begins with the discussion of the Ottoman Empire, which was the empire that ruled the Middle East for over 600 years, from 1299-1923. Second, we will see what happened to the Middle East after World War I through the British Mandate System. This system created countries where there were no organic countries to be made. Finally, we will dive deeper into America's involvement in the Middle East, and the handing off of the British problem. The Ottoman Empire is considered a Turkish, and Islamic empire; that at one point was very close to sweeping across Europe. The Ottoman Empire started out as a small group of warriors, and quickly expanded to supremacy. Ruling over a huge chunk of the world, without interruption, for longer than 600 years. The borders were vast including modern day Iraq, Syria, Israel, Egypt, parts of Saudi Arabia, Turkey, Greece, Bulgaria and northern Africa. The capital city was Istanbul, and this capital was formerly known as Constantinople. The Ottoman armies were very advanced, and expressed themselves in Eastern Europe. Knocking on the doors of the Austrian Empire in Vienna during the siege of Vienna,1683. The Ottomans pushed their borders further east, and held the line against the Persian Empire; what we now know as contemporary Iran. The nature of this empire relative to others was, in fact, more liberal than almost any empire in the world. All while Christians were attacking each other, and purging religions out of the their own borders. All while China kept professing the male dominated Confucianism. The Ottomans kept order within their cosmopolitan empire using minimal interference While other civilizations were purging, this one simply forced people who were not Muslim to pay an extra tax, called Jizya. The various religions were able to practice their own religion relatively peacefully; and even use their own religious courts, along side the Islamic courts. Being able to use their own religious courts, definitely should not be undervalued. Jews, Christians, Muslims and Zoroastrians lived in relative peace for over 600 years. Why are they all of a sudden at odds? The reason for this freedom has to do with the low number of true Ottoman's there were. As well as the nature of controlling large, diverse territories. The Ottoman Empire was run by only a few guys. In order, to keep the status as sultan the empire would have to stick together. The way to keep the Empire from falling apart was to actually let people live their own lives, and tax their wealth. The British Mandate System After World War I. 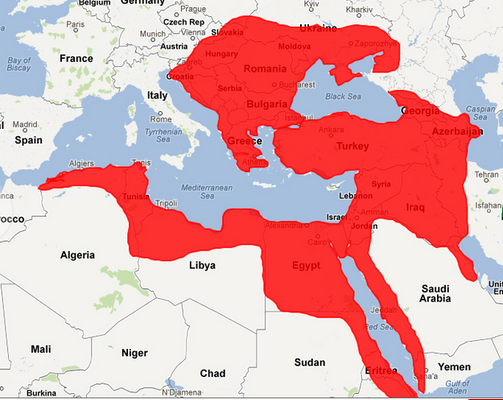 The Ottoman Empire lasted until World War I and we often hear nothing about this impressive stability. However, what were the goals of the people who took over the Middle East after World War I? For this we need to understand the nature of Colonialism and Mercantilism. Let's quickly brush over the nature of British and French Colonialism. These were the two nations that received the spoils of World War I. One clear way the British would keep their colonial possessions under control was letting them constantly be at odds with each other. If they could side with one group and keep the other group at odds with the first group; then the two groups would never join forces and kick out the British colonialists. Since the British are outsiders and know very little about the region. The nations they created were from scratch, truly created from scratch. Often just drawling lines on a map connecting economic resources with economic centers, cities. For example, Iraq during the Ottoman Empire consisted of three separate provinces with their own cultures. The British slammed all three nations into one nation. Creating the very problem we have today in the Middle East. Several Nations slammed into one nation is no nation at all. I hope by now it is becoming clear to the reader that these people didn't bring this mandate system onto themselves voluntarily. I am attempting to illustrate in a few paragraphs what is written in a few thousand of pages. A history most Americans know nothing about, yet many Americans continue to call for bombing people on the other side of the world. Yet these people in the Middle East do not have what we call Self Determination. Their governments are puppet governments and the cultures are not homogeneous enough to restore their Self Determination. Why is the British problem now our Problem? After World War II the Empirical systems of the world were ended. However, the role of policing the world, monitoring the world, diplomatic intervention around the world and military intervention around the world did not end. Empires did not end and the empire was simply passed down to us. We still claim all these international powers as our rightful place in the world. I say no! This is not our American tradition and it is not our place to be the policeman of the world. 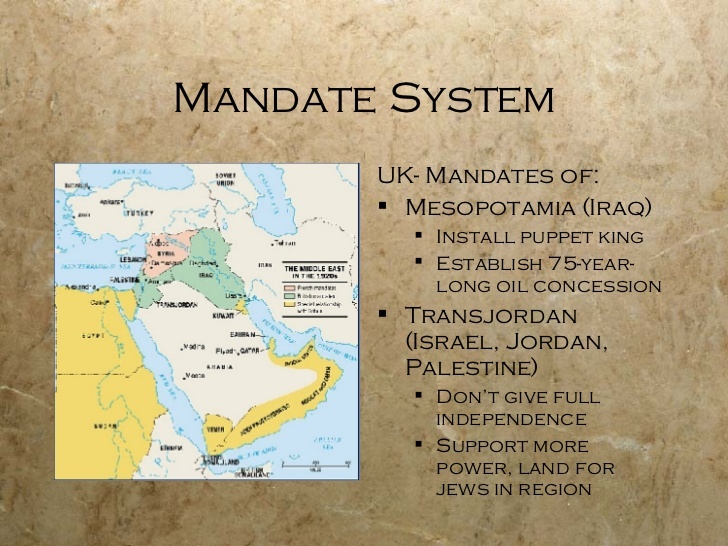 The British Mandate system is not hard to understand and it is a valuable gem lost in history. All Americans should know where their history comes from and much of it has been passed down from Britain. They should know about this process because their honor, blood and treasure is paying for its continuation. We sometimes overtly intervene in the Middle East and this is seen in our botched invasion of Iraq and Afghanistan. However, we haven't heard how much of our honor, blood and treasure has been lost through covert military action. .
"The means of defense against foreign danger historically have become the instruments of tyranny at home." James Madison. Source: All quotes have been taken from Ron Paul's A Foreign Policy of Freedom: Peace, Commerce and Honest Friendship. No! The FBI doesn't Need a Master Key and Apple is Worth Defending. Apple has been under fire as of late from various factions in society. Please, as a disclaimer, do not fear the people who often are seeking to protect you. They are usually not the people who are actively looking for persons who believe in freedom. They are often searching for far more important individuals such as terrorists and these protectors deserve our respect. However, given this reality we have every freedom under our laws to actively discredit and show the truth behind the ideas of gaining access to everyone's data. Instead, of attacking people who are simply trying to protect you we need to come up with a better defense. Three points of defense come to mind when defending our freedom to encrypt our personal data. Clearly privacy is the first concern. Second, our security from foreign governments will be compromised and finally safety from our own unpredictable government will be lost. We don't even have to consider our beloved Constitution, it's majestic history and the reasons our nation rose so quickly; as our founders prophetically stated. First, we must address the concerns associated with privacy. Our opponents will say that you have nothing to hide, right? Who cares if the government has your data? In fact, I care due to having government documents which show excessive spending in the Greene County Sheriff's office. They were passed down to me as a responsibility long ago. Documents long lost as I was 21 years old, however sometimes secrets are dwelling with candidates. If those secrets don't remain secret their safety, my safety, is in danger. For anyone who doesn't want the government to own and look at your personal photos, opposing this back door should be a no brainier. Our women are already stuck with the degrading TSA. Must we give our naked bodies for safety. I say NO and so should you. Second, as we see in this video from our Presidential nominee, Mr. McAfee, the fear of having a back door to the iPhone is actually a national security threat. Once this back door is created the information won't just be available to the FBI. As we have seen throughout my short lifetime the data one government contains won't only be available to the enemy, they will put this data on servers quite accessible to anyone. HIllary Clinton is the prime example of just how careless top secret data is handled in our contemporary administration. Finally, if your personal privacy doesn't matter to you and the ability for foreign enemies to steal your data, later to use it against you, doesn't remove you from the opposition. Then let's appeal to the ultimate fear and the historically repeated offenses perpetrated by governments throughout history on their own citizens. John McAfee Takes on the FBI and proves the FBI is just dodging questions, thus the FBI is dodging reality. Let's simply keep our history lesson in the 20th century, or the 1900s. Everyone knows about the Nazi's and their efficient forms of spying on their own citizens. Along with the results of this spying. That's fine, let's move our discussion to the history of China. A beautiful place full of beautiful people, which has gone through some very stressful events since the Communist Revolution. However, during Mao's regime they didn't need the ease of technology. They had spying in the form of youthful volunteers. These youthful volunteers dwelling in the cities would go to teach the rural peasants how to live more efficiently. Along the way they would extract information from the peasants of China. First they would hold meetings teaching the Red Book, Mao's book, and those more accepting became spy's. Eventually telling on anybody who opposed the ideas of Communism including their own family. They would then stage humiliation events where the peasants would force confessions from the person accused. Sometimes forcing confessions out of people who benefited from historical family lines, Thier goals were to break the current system of land ownership. They succeeded at their goal and eventually "The Great Leap Forward" would kill millions of peasants in China. To conclude, what happens if our current officials are as saintly as we assume them to be. We give them all they ask and they dive forever deeper into our lives? What happens when these trusted people are gone and a regime we don't agree with comes into being. We will have no way to dissent and no way to end a ruthless regime in control of our beloved nation. We will have no freedom left. First, we need to bring all our troops home from abroad and take care of our veterans physically, and mentally. The wars of the 20th century have caused nothing, but trouble in the 21st century. In fact, this nation has been at war for my entire lifetime. If you hold similar views do not let people assume you care nothing for people abroad, or soldiers and the goals of stability around the world! If someone calls you an isolationist because you believe in peace, a fundamental aspect of prosperity, just laugh. You are not alone and I am your representative. My emphasis in history has been World War I. No, person will be able to stand on the debate stage with me and commit the act of warmongering. Second, we need to completely dismantle the War on Drugs at home and the police state along with it. This war at home has absolutely devastated the relationship between police and their citizens. It is my goal to repair the reputation of the police officer. The War on Drugs has also increased the price of drugs tremendously. My minor in economics comes in hand in this situation as it is clear prohibition is hurting the poorest families of society the most. Not only are the poor disproportionately thrown in jail compared to the rich; blacks are dealing with the brute force that this immoral war has to offer. I am ashamed that we have the highest incarceration rate in world and I will motion to release non-violent drug offenders. In fact, my first bill ever presented on behalf of you will be a bill that eliminates the War on Drugs and strengthens the Bill of Rights. If we must restate the Bill of Rights a million different ways, so be it! Instead of throwing people behind bars we ought to repeal laws that our beloved officers have no business enforcing. Third, I want to decentralize the political process through State Rights. I am tired of Washington DC being the home of our rulers. For example, the solution allows States to have their sovereignty back, which will allow all 50 States to participate in any health care system they want. Congress has no idea what you need for your health and this would be better left to the States in the United States of America. Thank you, for taking time out of your day to visit my webpage promoting freedom across America. The American spirit is to give charity even in the deepest recessions, show compassion for the less fortunate and the spirit even drives us to give to our enemies. Our local charities were quick to respond to Joplin,the red cross is global; lets not forget rebuilding Europe after WWII which was not cheap, giving food over the Berlin wall etc etc. The American spirit is to feed the children who rushed across our border. Are these children American citizens? NO. However, they are still humans, little humans at that, and we must help them. I don't like Glen Beck very much but he has come around on a few things. Listening to his show this past week he has raised hundreds of thousands of dollars to feed the illegal children down by the border; even if he thinks they should be shipped back. Ted Nugent has a dinner program which provides millions of plates a year for people. My mission in this debate was to try to lay out the libertarian case for privatizing things and lowering taxes. We need to decentralize the money and I tried to explain in a variety of ways the problems with not. We are still suffering from the centralized planning of the last decisions made by our county government. The Jamestown development project is a clear case on why the presiding commissioners should not be trying to economically plan our area. The people decide this with their economic transactions. The commissioners should simply be trying to devise better ways to protect your property. During the debate we often took on the issue of taxes and I was the only candidate expressly for lowering taxes. The rest are for keeping taxes the same or raising them if need be. I repeated twice at one point, "Good leaders protect their constituents from new taxes." I also was the only candidate who was expressly for cutting the budget and I stated a few times the commissioners should make the Household Median Income of the County... around $41,000 dollars instead of the 70,000 the commissioners get now. Free market economists. You have hardly anything to sweat in this section of history. The only blips in the improvement of life have been in the free market. Technology is leaving generations of people behind. It is not required for us to defend the dollar because it did not derive from the market. It is not required for us to defend the Education system because it derived from the ancient Prussian model, mostlyGermany. In fact, I am mad at the socialists because the traffic in Springfield is getting crazy. We are also shooting ourselves in the foot by defending socialism from other socialists. When they say but you just want the economics of the 1920s back; or the 1950-60s back, or the 1990s. Deregulation and GREED! Just laugh. Classical free markets was dead in practical application when the Union no longer was considered a compact, after the the Civil War. What does it mean to be a public servant? My philosophy is a bottom up view of government; House->City->County->State->Federal. According to the description in a wonderful lecture on Libertyclassroom.com by Brion McClanahan in the Presentation "Virginia and the Cavaliers" and this philosophy entails an inside-out approach to politics. Your local government is supreme and you consent to any higher level government through self-government. The next step is relieving the responsibility from government. By slowly drawing down the size and scope of government; as the private world absorbs this downsizing the real economy will thrive again. Working for the government is a public service and should be a voluntary act. One of my first goals as Presiding commissioner is to cut my own salary if at all possible. Even if I can't cut it officially by the budget; I want to cut it figuratively. By continuing to live at modest means. I can start putting back the extra salary directly into the County operations. Maybe even hire a part time intern out of my paycheck; it would be good experience for them. I was surfing the web and came across an interesting article on Reason.com in which Scott Shackford helps put the "spending cuts" in perspective. The rest of the piece is just a relay for other some news releases on the subject of Paul Ryan's budget. "Budgets are about choices and values. House Republicans have chosen to protect tax breaks for the wealthiest rather than create opportunities for middle class families to get ahead. The President believes that is the wrong approach and that we should instead be making smart investments necessary to create jobs, grow our economy, and expand opportunity, while still cutting the deficit in a balanced way and securing our nation’s future." 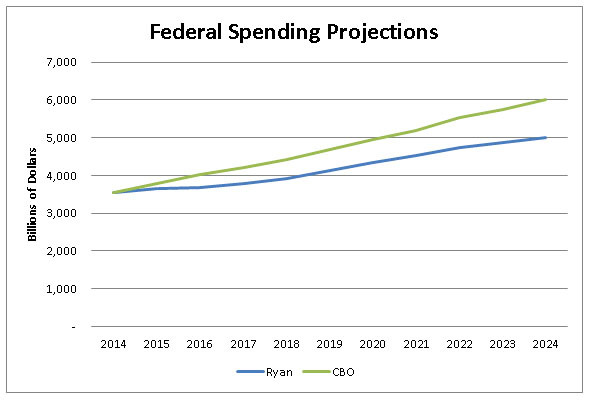 What makes this information so ironic is the fact that these spending cuts are on future projected growths in spending. Meaning they are not even real cuts. I actually commend Paul Ryan for taking this big step and putting a plan forward. How deafening is it that we only hear of a few names on the main stream media from time to time. What about all the other representatives? Yes, that blue line is after the cuts. The line keeps going up! The White house also has something right. We can see where these Republicans want to cut. The message is clear, and it is the same old message, that the old will continue to receive benefits they already spent gaining a 17 trillion dollar debt. While the younger generations get less access to education to expand productivity.